American Society of Human Genetics (ASHG) will be taking place in less than 2 weeks. One of the largest human genetics meetings worldwide, ASHG provides an outstanding forum for exchanging information on the latest scientific advances, covering a broad range of human genetics. If you’re headed to Baltimore for ASHG please visit the DNAnexus booth (#1821) to learn about our latest projects with precisionFDA, BioNano Genomics, Regeneron Genetics Center, CareDx, ViaGenetics and more. We’ve added plenty of new features and enhancements to the Platform, stop by our booth for a demo or to simply say “Hi”. We’ll also be a hosting a lunchtime talk on Thursday, discussing what the next five years might hold for the genomics and informatics industry. Come learn about the cutting-edge research being conducted at Washington University with BioNano next-generation mapping analysis, how CareDx is using NGS and cfDNA technology to deliver non-invasive clinical tests for transplant surveillance, and hear Regeneron Genetics Center present their Geisinger Health System pedigree analysis efforts. We are proud that the DNAnexus Platform provides a flexible and integrated genome informatics solution across such diverse applications. Author: Frederick Dewey, Regeneron Pharmaceuticals, Inc.
Visit us in booth #1821 to check out what we’ve been up to and get a demo of the DNAnexus platform. BioNano Genomics and ViaGenetics will also be joining us in our booth. Learn how researchers can use BioNano’s Next Generation Mapping analysis on the DNAnexus platform, providing push-button access to preconfigured assembly and hybrid-scaffolding pipelines. 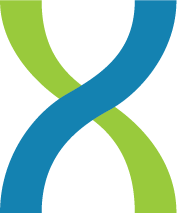 ViaGenetics will be demonstrating their bioinformatics pipeline, which translates raw sequence data into interpretable variants that can be exported seamlessly from DNAnexus to the GENESIS Platform for clinical interpretation.